Posted July 14th, 2016 filed under Small Biz, Small Business. Small businesses don't have it easy compared to more established, larger corporations. One of the areas SMBs struggle the most is when trying to hire and retain top talent. Just how important is this process to SMBs? Even the word "massive" fails to adequately capture its significance. In a 2016 survey conducted by LinkedIn Talent Solutions, 42 and 38 percent of SMB leaders said that recruiting top talent and retaining employees was a top priority respectively. Twenty-nine percent noted that improving how they hire was a main concern, while 19 and 17 percent said upgrading sourcing techniques and pipelining talent was a priority. In a sense, all of these are linked together in some way, so it sounds like SMB leaders have one overarching concern: how they manage their HR activities. That's where SMS comes into play. The ominous presence of these black holes (spam folders) should scare every recruiter. Imagine the amount of effort HR professionals put into reaching out to top talent only for their emails to get lost in some junk folder that's never looked at? What a complete waste of time! SMS allows recruiters to bypass this problem because they can send messages directly to the candidate and know they're being opened. "Recruiters have to find quality candidates, conduct interviews, convince people to leave their jobs." Recruiting isn't easy. Recruiters have to find quality candidates, conduct interviews, convince people to leave their existing jobs and then follow up with them throughout the hiring process. This takes time and costs money. To make this process run more efficiently, hiring managers should use mobile messaging to engage with potential employees throughout the onboarding process. 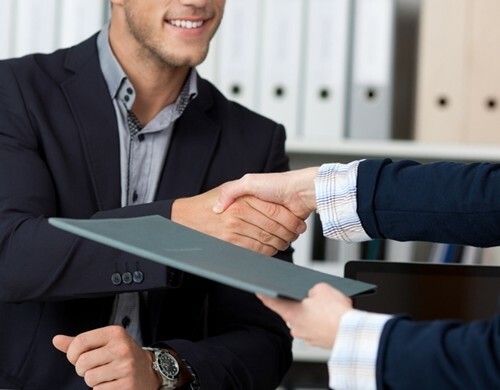 Recruiting moves at breakneck speed, which means hiring managers can't rely on old technology if they want to stay ahead of their competition. After all, top talent is heavily sought after, so one wrong email in the spam folder likely means disaster to the entire recruiting process. With mobile messaging, recruiters can quickly reach top professionals because 90 percent of all mobile messages are read within three minutes, according to a report from Mobile Squared. If you're thinking about instituting text messaging services into your current HR initiatives, contact a third party. These professionals will analyze your current situation and provide SMS recommendations that will help you fulfill your HR goals. Call or Text us at 1-800-264-7141 or set up a free demo!